marathons | Run. Work. Live. Repeat. Sunday is The California International Marathon. I’m also a week away from completing my first semester in graduate school. It’s gone fast and now it’s time to get my marathon on. Woo-hoo! A lot has changed for me since December 2009 — the first time I ran CIM and qualified for Boston. My kids were ages 7 and 3; I just hit my 40s; and I was a full-time mom/part-time professional writer. Today, I’m a grad student; “Tarzan” and “Jane” are 8 and 12; and I’m five years older, which my body reminds me of more than I like. I have never been one to shrink away from challenges — hence my chainsaw metaphor. I believe as we grow older we’re often called upon to evolve. Sometimes changes are thrust upon us and other times we choose them. After all, what choices do we really have? We can’t go backward, even if we want to, so forward we go. It’s either that or stay put. I’ve chosen my current path and I have no regrets. 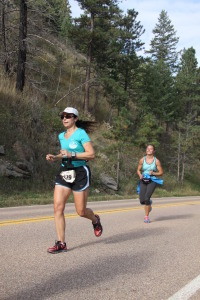 It’s not easy “juggling chainsaws”: Training for marathons, raising your kids and changing careers in midlife but so far I haven’t caught an edge. I consider that a success and it makes me happy. I’ve also made this decision: I plan to take a break from marathon racing while I finish out the rest of grad school, which is two more semesters (spring and fall). I would like to focus on shorter distances and speed during that time. I will begin student teaching two days a week, plus take four classes, starting in January. My last semester will include full-time student teaching. Even though I hope to BQ again at CIM this Sunday, I think my life will get even crazier in the coming months. I’m grateful that the grad program I’m in has been gradual before throwing us into the classroom. I can’t imagine what it would have been like for me and my family otherwise. 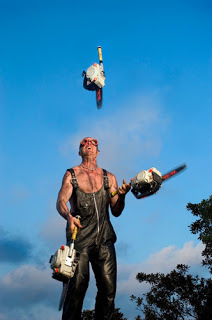 Perhaps like juggling chainsaws one-handed? Once I’m in the classroom I think it’ll be a marathon of its own until I get my teacher’s legs steady beneath me. That’s why I’m creating this break for myself. I also can’t lie. 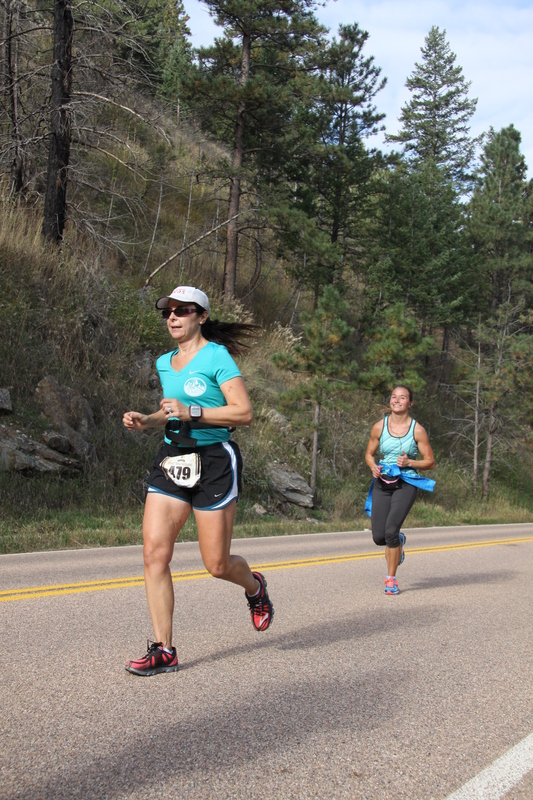 I love running short, fast and hard — and I’m better at it, too. I’m looking forward to switching gears and I think it’ll help me keep my sanity during the interim. If you want to follow my progress on Sunday here’s a link to the.CIM athlete tracker. Please send me positive vibes.